Did Iran just show off a new ground robot? The robot appears without a name. Painted in black and a yellowish tan, it is bristling with the 12 little canisters, clustered in four sets of three, poised to project smoke or other protective measures in some direction. 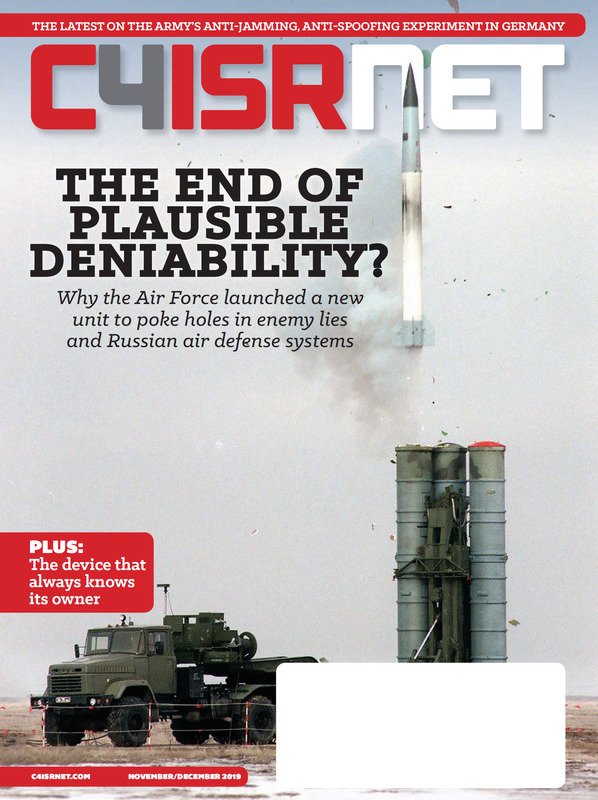 Any other capabilities, from sensors to autonomy to weapons, are hard to infer from the inert body of the machine. We are left without even the curated detail of a manufacturer’s brochure. 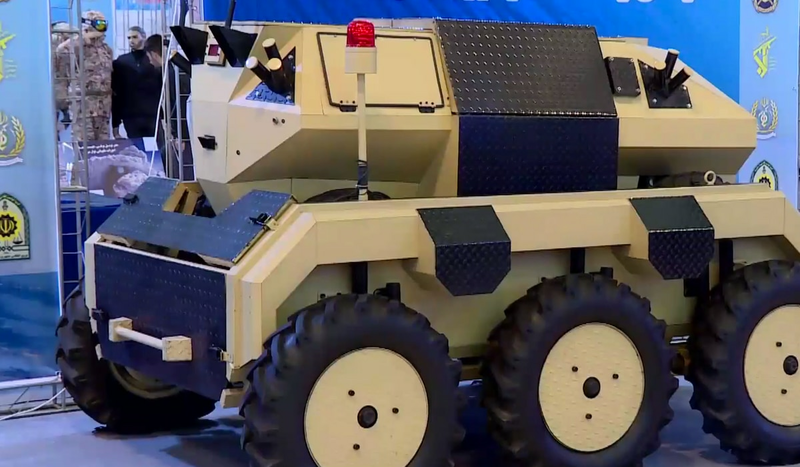 What we have, instead, is this small bit of news: Iran has manufactured a new model of unmanned ground vehicle. We can expect to see more of it in the future. What to make of this larger vehicle? It appears, at first glance, like a scaled-up Nazir, with hinges in the right place to reveal a missile launcher emerging from the top. It is also possible that the six-wheeled vehicle is simply a transport platform for an original Nazir, the angles of the video limited enough to conceal a possible ramp dismount from the six-wheeled platform. Footage of the vehicle in motion during a military parade will likely clarify if it’s a whole new robot or just a fancy new robot transport device. Either way, it suggests the continued utility and also prestige that the Iranian military sees in displaying, and perhaps fielding, armed robots. Below is the video of the exhibition from Press TV, an Iranian state-owned media company. The vehicle shows up at around 16 seconds.